The low-carb keto diet has become popular in the last few years. Many people trying to lose weight or eat healthier have taken it up. If you’re a tea drinker who is considering eating this way, you may be wondering, is tea keto friendly? Will you have to give up your tea rituals? The keto diet is a low-carb, high-fat diet. We always recommend consulting your doctor before making any major changes to your diet. If you decide that it is a healthy and safe option that you would like to pursue, you will have to ask yourself if tea can still fit into your new lifestyle. The answer is a bit more complex than a simple yes or no. Some teas are keto friendly, some may not be. 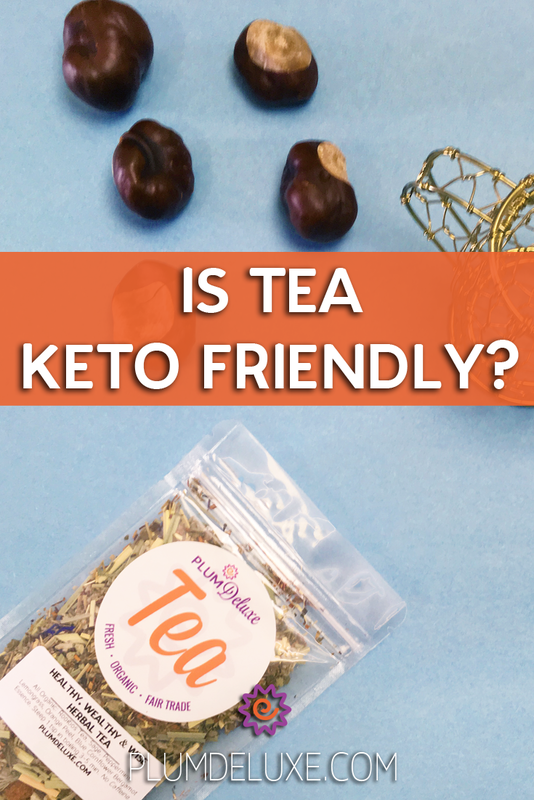 Pure teas, including white tea, green tea, black tea, oolong tea, and pu-erh, are keto friendly on their own. The main thing to watch out for is fruits and other ingredients that may contain carbohydrates. Teas with large pieces of dried fruit may give you some sugars and carbohydrates that won’t fit in with your diet. Some dessert teas contain small candies or chocolate chips that you will want to stay away from on the diet. Also, you may get some carbs from genmaicha, which is green tea with puffed rice. For the record, all of our teas at Plum Deluxe are sugar free. 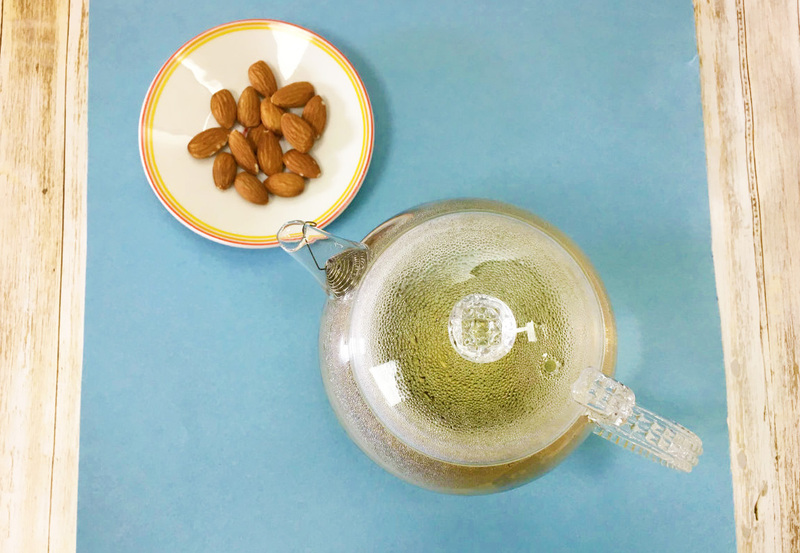 If you’re eating nuts on your keto diet, it’s easy to find delicious teas that contain nuts. 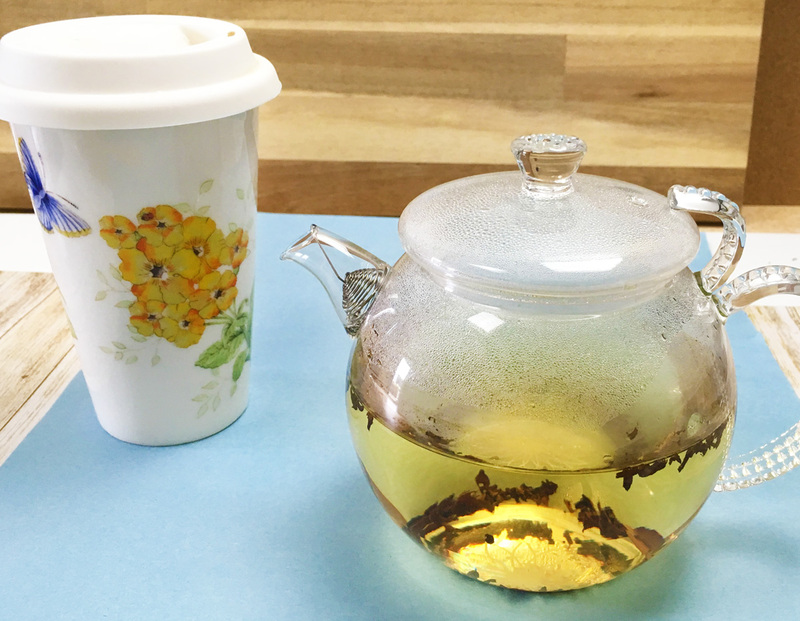 Our coconut almond tea and delicious pecan praline black tea are both great for a sweet, Keto friendly treat any time of day. As far as herbal teas go, once again, it will depend on what ingredients are in your tea. Tisanes will sometimes contain berries and fruits, just like the other kinds of tea. Floral teas like lavender and chamomile are a good option for the keto diet, as are mint and rooibos teas. If you’re looking for some tasty, caffeine free brews, try our cacao lavender blend, Easy Like Sunday Morning, or the relaxing and calm Chamomile Bloom tea. To learn more about herbal tea keto friendly ingredients and how they can boost your health, check out this post! As with any diet, we recommend talking to your doctor before trying the keto diet. If you decide it is a good fit for your health and lifestyle, there are many ways in which tea can be a part of your routine!